Customize our Lawn Mower About Us Flyer Template and more! 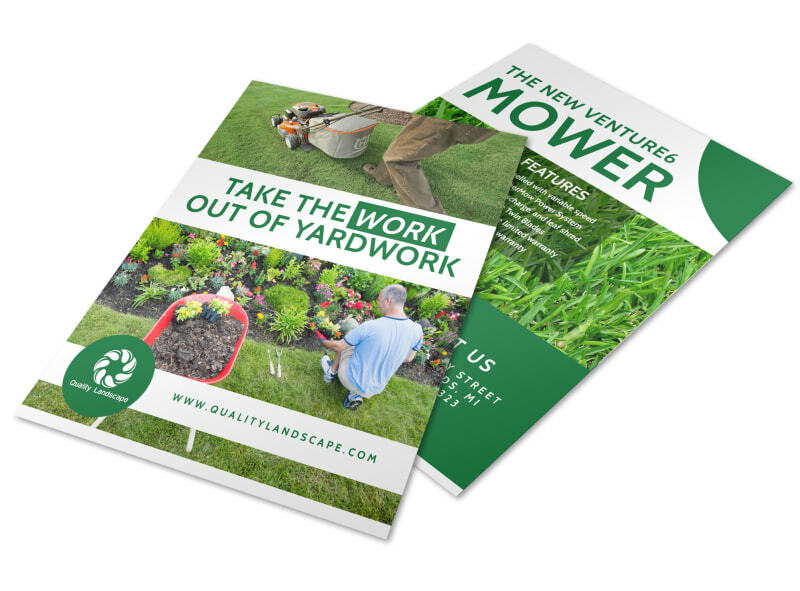 Give the 411 on your lawn mowing or landscaping services with this customizable flyer you make yourself. Customize your flyer with bright colors, bold text, and catchy images or graphics to entice those in need of your services to reach out. Begin the process of designing an attention-commanding flyer today!